HTC Vive gamers looking for a new VR dungeon crawl adventure to enjoy, may be interested in the new Mage’s Tale VR game which will be launching on March 23rd, 2018. Offering a fantasy world that transforms you into a wizard and an “apprentice of the mystic arts”. Developed by inXile Entertainment the new game supports Vive motion controllers and only the HTC Vive VR headset via Steam at the current time. Check out the launch trailer below and a quick six minute gameplay demonstration below to learn more about what you can expect from the virtual reality game Mage’s Tale. 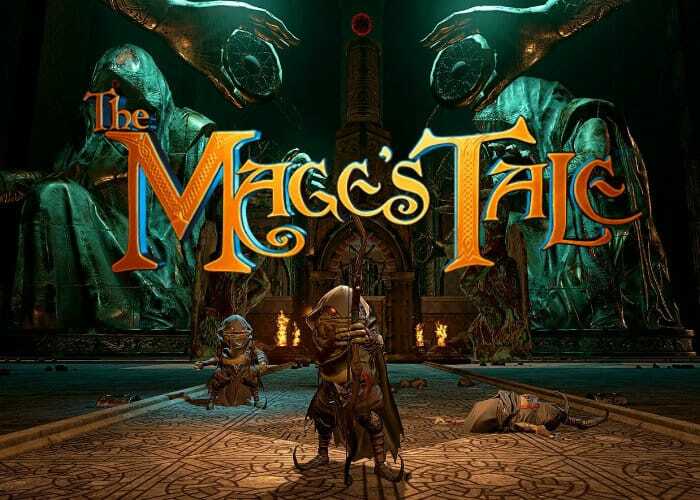 The Mage’s Tale offers a virtual reality adventure designed from the ground up to capture the magic of VR gaming. Requiring you to collect mystical ingredients which you can use to craft hundreds of custom spells in your Mage’s Workshop. The ability to explore ancient crypts, sewers, and dungeons to discover devious traps and secret rooms hidden around every corner. A storyline that takes place in the same world as The Bard’s Tale series and soon before the events of The Bard’s Tale IV: Barrows Deep.